White House policy will require universities to certify that they protect free speech to remain eligible for research funding. Details of how the Trump administration will implement and enforce the order are still fuzzy, but academic organizations are concerned that the policy could create more problems than it will solve. The order is “a solution in search of a problem”, and seems designed to undermine trust in higher education and science, said Julie Schmid, executive director of the American Association of University Professors in Washington DC, in a statement. “It is also troubling that in his remarks the president sought to drive a wedge between students and faculty, casting his executive order as a ‘﻿clear message to the professors’﻿ that their funding was now at risk while also raising the specters of ‘﻿﻿political indoctrination’﻿ and ‘﻿coercion,’” Schmid wrote. Peter McPherson, president of the Association of Public and Land-Grant Universities in Washington DC, called the order “plainly unnecessary” in a statement. “Public universities are already bound by the First Amendment and work each day to defend and honor it,” he said. Sigal Ben-Porath, a political philosopher at the University of Pennsylvania in Philadelphia, says that the order might not have significant practical implications. “It reads to me more like a declaration and a message to some parts of the voting population than an actual regulatory or legal change,” she says. Universities must comply with numerous federal regulations — such as laws barring discrimination on the basis of race or gender — to receive federal research funding, Ben-Porath adds. Complying with the free-speech order could be as simple as filling out a little more paperwork, she says. Still, Ben-Porath is concerned that Trump’s order could signal that his administration will make further attempts to regulate free speech on campuses, and that the president’s real motivation is political. In remarks earlier this month, Trump drew﻿ connections between the policy and an incident last month on the campus of the University of California, Berkeley. A conservative activist was assaulted while recruiting students to his organization. Neither the activist nor the man accused of punching him — who was arrested and pleaded not guilty — is a student at the university. A﻿nnouncing the order in the context of the Berkeley protests “tells me that what the administration is trying to protect is not, in fact, free inquiry, but the enhancement of conservative voices”, Ben-Porath says. The order is likely to be legally controversial, says Frederick Hess, director of education-policy studies at the American Enterprise Institute in Washington DC. 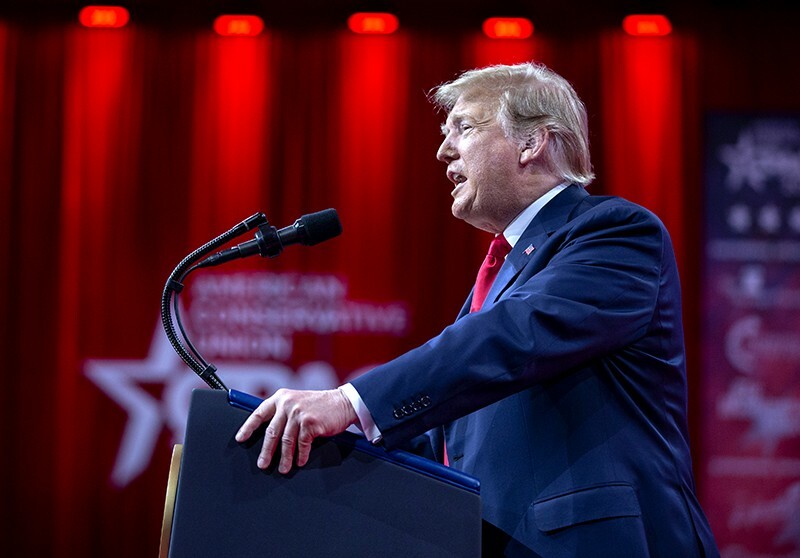 Although the text of the policy does not mention politics, Trump’s speeches and tweets have indicated that his action is intended to protect conservative voices, Hess says. Ultimately, the courts are likely to decide whether the order stands. Hess says that it will be difficult for anyone to sue the administration over the policy until the government clarifies its definition of protecting free speech and outlines any consequences for universities that do not meet those criteria. The Trump administration plans to release more information in the coming weeks and months about how the order will be implemented and enforced. Additional reporting by Heidi Ledford.